Are you almost getting what you want out of your muscle building workouts, but you’re not sure how to reach the next level faster? 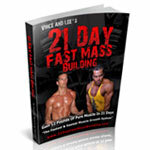 Whether you’re brand new to muscle building or a competitive model or bodybuilder, these 31 ‘must-know’ facts to build muscle faster will help you build a superior physique and reach your muscle building goals faster. 1. Alternate the speed of your repetitions. Not everyone responds the same to a recommended rep range, everyone is different. Over time, experiment with different rep ranges to see what works best for you. 2. Ignore your genetics. You never had a say in selecting your parents so don’t your genetics hinder you in achieving your goals. 3. Write down your goals. Research shows that individuals who write down their goals, with specific numbers and deadlines, have a higher success rate because you’re forming a “road map” to follow. 4. Your age is irrelevant. And even if it wasn’t, what are you going to do about it? Nothing, so stop focusing on another factor you have no control over. Maximize the factors you can control – training intensity, diet and sleep patterns. 5. Find a training partner. Unless you’re passionate about training alone, you’ll never duplicate the same intensity that you will when training with a training partner who can push you to your maximum effort. 6. The 10 for 1 Rule. On average you’ll need to gain at least ten pounds of bodyweight for every inch of arm size. 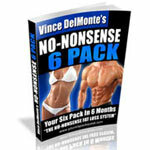 For most people, in a five year period, you’ll increase your bodyweight 50 pounds and add five inches to their arms. 7. Perform a full range of motion. Before you increase the speed of the movement and load, always increase the range of motion first. This means fully contracting and stretching a muscle and moving the limb or limbs through their entire possible distance. Partial movements lead to partial results. 8. Strive for 8 hours of sleep each night. While one night of late night partying may not set your results on hold, making a habit of late night partying will certainly stall your muscle building results. 9. Keep your hydration levels topped off. The human body is 70 percent water, that should stress the importance of water consumption. Your body must be hydrated to be in an anabolic state. Strive for at least 1 gallon per day. 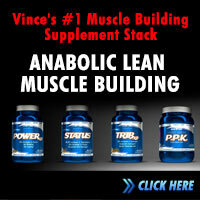 Anything less and you’ll slow your muscle growth. 10. Eat your veggies uncooked as often as possible, worst case scenario, steam them. Cooking destroys much of the nutritional content. Again, if you must steam your veggies but avoid boiling which will drain 50 to 75 percent of the nutritional content. 11. Eggs – still one of the best proteins ever. No matter what bad press you hear about eggs, they are still one of the healthiest foods available and should be apart of the diet of all hard training bodybuilders. 12. Get a blender – a bodybuilders best friend. It’s much easier to consume calories than to eat them. In the extra fast world we live in, extra time is hard to find. Unless you can make all your meals ahead of time and have a lifestyle that lets you eat every 3-4 hours, get used to blending. Not only can you consume a variety of healthy calories but it only takes minutes to clean. 13. Shop the outer aisles. Most supermarkets keep the fresh produce, meats and dairy on the outer aisles of the store. Prepackaged and canned food should be avoided if you want to build muscle fast. 14. Food always before supplements. Never take a supplement in place of food. Food contains far more nutrients than any supplement ever could. As the name implies, supplements should “supplement” food, not replace it. This means that you should not pass up a chicken breast in exchange for a protein supplement if you have the choice. 15. 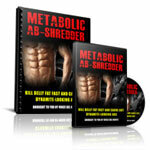 Creatine – a bodybuilders top supplement. Creatine has stood the test of time and has been at the top of the supplement charts since the ’90s. The most popular dosage schedule is 20-30 grams for the first 5-7 days, and then cut back to 3-5 grams a day. 16. The cheapest energy boost – caffeine. Coffee is one of the cheapest and most effective performance enhancing drugs. Being a mild stimulant, coffee (actually the caffeine it contains) will give you an extra boost to get through your gruelling workout which leads to build muscle faster. 17. A warm muscle is a safe muscle. Few things contribute to injuries like subjecting a cold muscle to a sudden jolt of exercise. The human body is like a car and performs much safer when it’s properly warmed up. Before doing any heavy lifting, take five to ten minutes for some light cardio and stretching to get your system warmed up. 18. Cheat to make your training harder, not easier. Many guys cheat on there last few reps to make the weight feel easier, not harder. 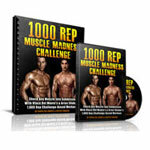 The purpose of cheating is to stimulate more muscle fibers with greater intensity, not less. If you are cheating to lift more weight, or to finish the set quickly, you are the defeating the purpose. Cheating should be adjusted so that your muscles ache more, not less. 19. You go, I go. Nothing fancy here. One of the most intense workouts is when your training partner performs a set and you perform the same weight without immediately after. There is no rest in between. You go, I go works great with simple exercises like barbell curls and can initiate some friendly competition between you and your training partner. Each set you try to beat your workout partners number of reps. Don’t pass out now. 20. Ten sets of ten. This is a super intense, old-school technique that popularized in the 1940s and 1950s by legends Reg Park and Vince Gironda (one of my favorite bodybuilders of all time). You may have heard its comeback name, “German volume training.” Regardless of who invented it, this technique is one of the fastest ways to spurt your muscles into growth. As the name suggests, try completing 10 sets of 10 reps for just one exercise per body part. Superset two bodyparts per workout. Try not to rest any longer than one minute between the exercises. Return to a more traditional program after 3-weeks. 21. Change the order of exercises. Every 3-weeks flip your entire program upside down. If you did chest on Monday, do it Friday. If you did abs last, do them first. If you did 3 sets of 10, do 10 sets of 3. You get the idea. Total shock leads to very fast muscle growth. Return to your traditional program after 3-weeks. 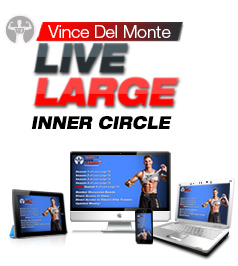 To read more about how Vince Del Monte can help you build muscle fast and get stronger than ever, check out his complete muscle building course that helps skinny guys how to build muscle without drugs, bogus supplements and in less time. If you like this article, please click the “Share” button below. Question ? Post them in the comments section below. Command prompt window is features of window which provides command to the function of PC and,it is also a easy way to reach at the files and folder. Muscle building for wome.. And how to keep it maintained. And healty eating.